ShutterstockRecent studies show including diverse points of view and ways of thinking produces better decisions. Viewing investment decisions through an LGBT lens can pay off. An expanding body of evidence indicates that what's good for lesbian, gay, bisexual and transgender employees is also good for investors. Analysts say companies that take the high road regarding sexual orientation tend to be progressive and thoughtful about other aspects of management as well. The Workplace Equality index designed by Denver Investments portfolio manager John Roberts has annualized returns of 10.14 percent for the 10 years ending June 30, compared with 7.89 percent for the Standard & Poor's 500 index (^GSPC). The Workplace Equality exchange-traded fund (EQLT) includes 199 companies and tracks with the Workplace Equality index. Julie Goodridge, founder and CEO of Boston-based NorthStar Asset Management, says companies are leading advocates for the LGBT community because they don't want to lose top talent. While she and others say shareholder activism has yielded some gains, change is now driven primarily because it makes good business sense. For instance, numerous recent studies illustrate how diverse groups make better decisions, analysts say. And it's not just having "one of each" -- a woman, one person representing each major ethnic minority and a member of the LGBT community -- but including diverse points of view and ways of thinking. Northstar, the Workplace Equality index and the LGBT advocacy group Human Rights Campaign share a common approach to analyzing companies' commitment to LGBT employees and business partners. They start by examining official policies. Do the companies simply comply with the law or do they proactively champion equal rights for the LGBT community? The Human Rights Campaign's current report covers 366 businesses that earned top scores as "best places to work" for LGBT equality. Employers not only set a standard for the workplace, but a precedent in their communities, Goodridge says. This isn't an academic issue. 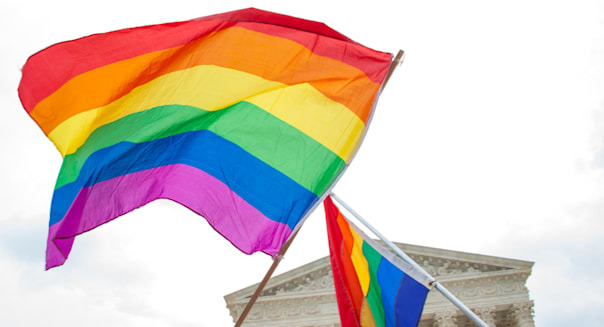 Anti-LGBT culture and laws can collide with employees' career paths. For instance, if a rising staffer is in line for an overseas assignment, what is the obligation of the employer to craft an opportunity that fulfills employees' career goals while not putting them in an untenable or even dangerous position in a country hostile to the LGBT community? That's exactly the kind of dilemma where progressive companies shine, Goodridge says. "How are you protecting your talent globally? It's like divesting from South Africa -- it's a company's responsibility to say, 'This isn't a country we feel comfortable working in because our employees are not safe,'" she says. Roberts says investment managers who use an LGBT lens are well-connected with employee advocacy groups and informal networks of employees, so money managers are quick to call out lip service -- and equally quick to recognize employer innovation. "We'll challenge management if there's a culture disparity," he says. "We'd rather be collaborating and reaching out to company management rather than confronting them. We think it's much better to use engagement: 'Hey, we want you in our index, and here's what we think you need to do.' "
Debra Neiman, a certified financial planner in Arlington, Massachusetts, who specializes in LGBT issues, says wading into investing from this perspective can start with shopping. Pay attention to retailers and their suppliers, and how that ecosystem supports the LGBT community (or doesn't) to see the ripple effect of economic decisions, she says. Often, family and friends of LGBT workers also decide to "vote their values," too. "This group has a great propensity for wanting to align its dollars with its morals," Neiman says. "It can be as simple as, 'I won't shop at a store that doesn't support my people.'" Neiman, who is on the advisory board of the Workplace Equality Index Fund, recommends LGBT-minded investors buy into LGBT-oriented funds rather than pursuing individual stocks. "If you want to invest in a way that companies promote inclusive workplace policies using the individual stocks, there's only so much impact you can have, depending on how much money you have," Neiman says. "But you get more bang for your buck by using a fund like the Workplace Equality Index Fund." One thing's for sure: There's no fund or company that occupies the sweet spot of delivering top returns while hewing to gender, sexual identity, environmental, energy, medical and human rights issues. Roberts recommends using "several arrows for various causes, whether those funds are targeting workplace equality or green," By layering several investing lenses, "you screen out the alpha. You have a better chance of success by focusing than with a broad-based approach." Nike Inc. (NKE). NKE stock has delivered a 37 percent return for EQLT and is up more than 42 percent so far in 2015. Nike is a leading athletic apparel company, despite some challenges from Under Armour (UA), Adidas (ADDYY) and privately held New Balance. Raytheon Co. (RTN). A major defense contractor, Raytheon stock has delivered a 10.5 percent return to the ETF and is up more than 9 percent so far this year. Navigant Consulting (NCI). The Chicago-based consultancy is up only 6.7 percent this year, but has given EQLT a great return since the fund opened a position nearly two years ago, delivering a 13.5 percent return. Hartford Financial Services Group (HIG). The property and causality insurance sector isn't exciting, but the Connecticut-based insurer has delivered an eye-catching 18.5 percent return for the EQLT ETF. HIG stock is up 8.8 percent so far this year. Chubb Corp. (CB). Another one of the major property and casualty insurers, New Jersey-based Chubb has given EQLT a hefty 28 percent return since February 2014. CB stock is up nearly 26 percent so far this year and is challenging its 52-week high. Joanne Cleaver is a widely published business author and journalist. Follow her on Twitter @jycleaver.